For many small tech firms software product marketing may not be a dedicated function in the company. Instead, company leaders or founders have to find the time to plan marketing. Because they are wearing too many hats already, marketing becomes an afterthought. If this describes your company, here are some easy steps you can take to make sure your marketing decisions are more strategic and align with your business goals. Set aside a little time to follow these steps (you can use the worksheets and templates in our Downloads section), and you'll have a strategic framework that lets you quickly decide which marketing opportunities are the best ones to drive your business forward. In a nutshell, these are the seven key steps. Keep reading below to learn more about each step. It is important to follow each of these steps in turn, writing down a paragraph or two to answer the questions. 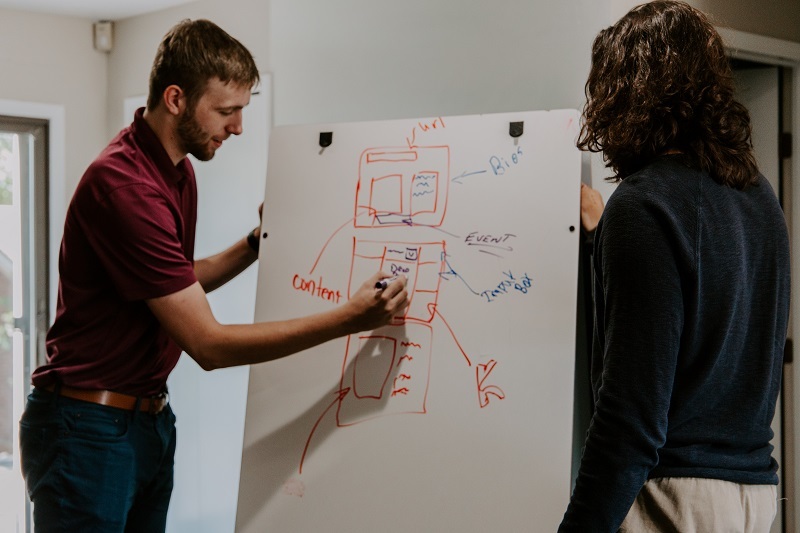 Below, I provide a little more detail on each step and links to useful tools that can help you plan your software product marketing. Don't be tempted to just jump straight to the last step (creating your communications strategy) - this is the mistake that many startup founders make. They then find themselves throwing marketing opportunities at a wall to see what "sticks". That is a huge waste of time and money. It is much better to invest a little bit of time up front to develop your strategy, than waste a lot of time on marketing activities that don't contribute to your bottom line. The first step in developing a strong software product marketing strategy is to really understand your market ecosystem. You probably already have a good knowledge of your market. If not, spend a little time on some market research to get to know your competition, your customers, and your potential market collaborators. If you find it helpful, answer the questions below to collect your thoughts. Think about the problem that your software product or service solves. What alternative solutions might a customer select? Those are your competitors (hint: they may not be companies offering a similar product or service to yours). Put yourself in a customer's shoes and make a pro/con list (be honest!) of your solution compared to theirs. 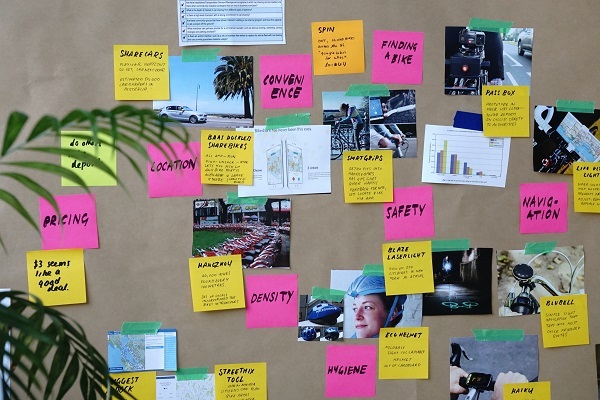 How do you describe the market of customers who might use your product or service? How would you describe your existing customers - do they have some characteristics in common? How would you describe prospective future customers? Who are NOT potential customers and why? Your market ecosystem probably has other companies or individuals in it that are neither competitors nor customer prospects. Some of those may be good joint venture partners, or potential influencers (people who can positively influence your prospects with your message). You will need to think about the win/win proposition for these partners. After you've finished the research in Step 1, you should have a list or description of your competition, potential customers, and potential partners or influencers. Now, think about ways you can group these players. Are there different categories of potential customers you can describe? What are the categories of partners and influencers? With the market segments defined, the next step is to write detailed profiles or personas for each segment. Think about what are the key descriptors or characteristics of each segments. Try to get as detailed as you can, so that in the end you can paint a complete picture of the individual person or firm in each segment. Give them names if that helps you to build an image in your mind. Software product marketing needs to be customer-driven, not product- or feature-driven. That's why it is so important to have a specific, detailed image of your ideal customer: who are you developing the software for? how will they use it? how will it help them solve their problems? Looking at the detailed segment personas, you now need to choose a small number of segments (initially, try to keep it to two or three) that should be the primary target audience for your marketing. How do you decide on which ones to select? Think about which of the customer segments are the most profitable, or which of the partner/influencer segments could help you to scale your marketing (in other words, a single partner engagement might enable you to reach dozens or hundreds of customer targets at once, but do bear in mind how much support they will need). Finally, you must define a clear Most Wanted Response (MWR) for each target segment: what exactly do you want the prospect to do in response to your marketing? Great, now you have chosen the two to three market segments that you are trying to reach, and you've written a detailed persona for each. That's half the battle to a successful software product marketing strategy! Next, it is important to really dig into why those prospects will want or need your solution, and exactly what they will need to sign up. What is their main pain point that I am helping them solve? Is this really one of their top 2 or 3 issues? 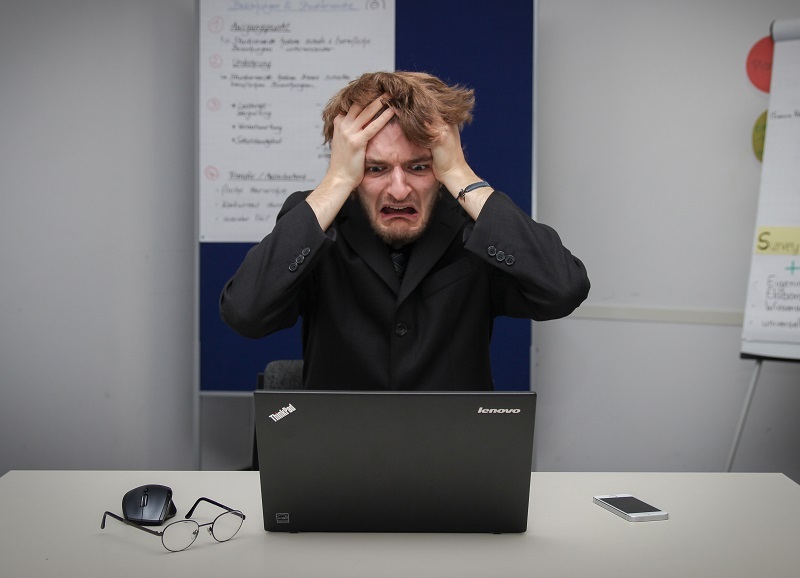 Remember that even if your customer has a pain point, if it is fourth priority for them then they may never get to resolving it - your solution remains a "nice to have". Where is the target audience expecting to hear about your product or service? This might include trade shows, industry magazines, websites, direct sales, direct mail, email newsletter, etc. These will be your communications channels. Who is involved in the purchase decision? Remember that in a business environment - particular in a large enterprise - there are often multiple stakeholders involved in the decision. Sometimes the decision also involves third party companies (who then should be one of your partner or influencer segments). Developing their elevator pitch and key messages is where many startup founders flounder. Why? Because they try to start the marketing process here, rather than doing Steps 1 through 5 first (you did finish those already, right?). direct them to take the next step (CTA - Call to Action) that supports your MWR. After you have written a clear, concise elevator pitch (one paragraph) for each target segment, then brainstorm and write down any questions that a prospect might ask after hearing your pitch. Your "key messages" are basically the answers to those questions - you can even write them down in a Q&A format, which makes it easier for sales and business development folks to use. The final step is to consolidate what you have learnt into an actionable marketing communications strategy. This will be the keystone for all your marketing decisions moving forward. What is a marketing communications strategy? To put it simply, your communications strategy provides the rules by which you will decide which marketing activities are the best ones to communicate your key messages to your target audience(s) via the optimal communication channels. Think of the communications strategy as a set of principles which direct your marketing plan. You can use this software product marketing template to write down your final communications strategy. It should be fairly easy to fill in, if you have done the exercises in Steps 1 through 6. Congratulations! If you followed the steps above, you now have the blueprint to direct all your marketing decisions. Make sure anyone who is involved in marketing for your company has a copy of your communications strategy. Every marketing opportunity or decision should be evaluated against how well it fits with your strategy - this will make sure your marketing efforts are truly focused on building your business and not on throwing good money after bad. 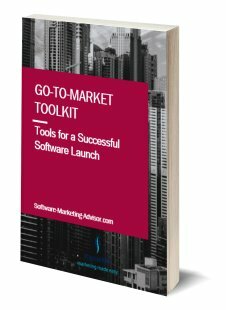 Need a little help to get started on planning your software product marketing? Or do you have some questions or challenges along the way? 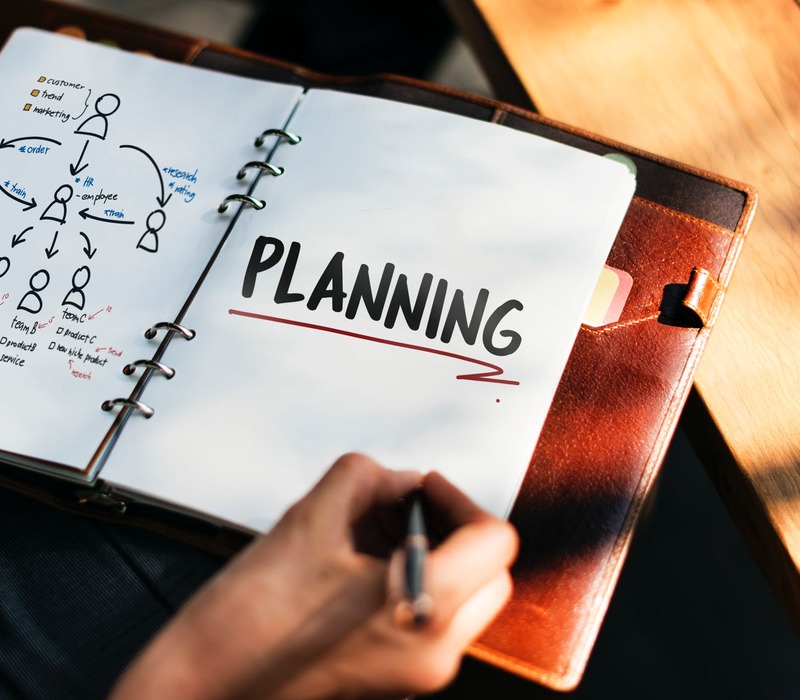 We offer easy-to-use coaching options to give you guidance in planning your marketing strategy, or we can do the whole process hand-in-hand with you if you need. Just contact us to explore how we can help. 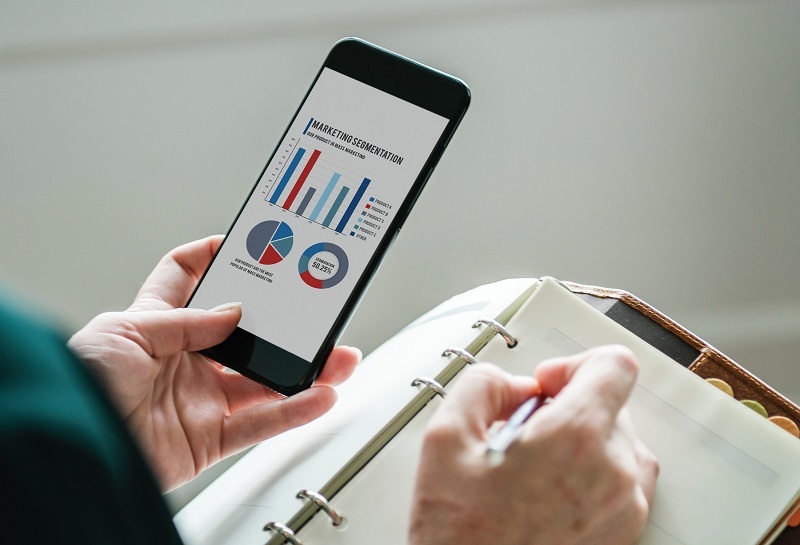 Our Software Marketing Plan Package also provides some really useful tools and templates to quickly plan your software product marketing strategy.